Hello, and welcome to Doug’s Rants! Some of you may know me (I’m sorry) and some of you may not (yet). 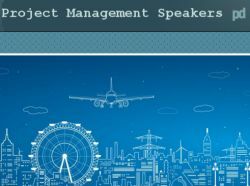 My name is Doug Boebinger, and I spend my days flying from city to city, doing a wide range of project management-related courses and presentations. In my travels, I am privileged to speak with an array of people from numerous companies, in just about every industry there is. From my courses, presentations, and personal discussions, I have come to various conclusions about a multitude of topics. When I get off on one of these tangents in my courses, I typically refer to them as “Doug’s Rants” and the name has stuck. What follows is my official Doug’s Rants blog #1. This one and the blogs to come will address various themes, systemic issues, and truths that people know in their hearts but can’t say out loud. Well, I’m going to say them out loud (via the written word). As I like to tell people, I play the role of the little boy in Hans Christian Anderson’s “The Emperor’s New Clothes.” If you don’t know the story, it’s short and insightful, and it’s required reading for anyone who needs understand truth vs conformance. I have talked with a lot of Human Resource people over the years, and they all agree on one thing (actually, a few things, but I’m only focusing on one in this blog). They want to hire people who have integrity. They want people who are honest and truthful. They do NOT want to hire liars. Period. Well, if this is that case, then why do They want you to lie to them about your project? You know it will take six months to do it properly, so why do They want you to confirm their three-month (gu)estimate? You know you will need additional people to make the design functional, so why do They want you to do it with the few people available (and the wrong people, at that)? You know the current equipment won’t be sufficient, so why do They insist you use it anyway? Yes, we do need to challenge the status quo so we do not become complacent in our efforts. Yes, necessity is the mother of invention and, if we think long enough and hard enough, we may come up with a brilliant new way of doing the project (provided, of course, They give us the time to think long enough and hard enough). These reasons have been given to me to explain why we must push our project teams to be faster. I’m not arguing the point. My point is, there are certain laws of physics that cannot be broken. There are certain finite time limits we must live with (26 hours in a day, eight days in a week, 55 weeks in a year, etc.). True story (names have been eliminated to protect me). Major Company received a contract to install new equipment in, let’s say, aircraft cockpits. They signed the contract and handed the project to the (poor) project manager. He quickly calculated the number of people needed to get the (let’s say) 16,800 person-hours of work done in the five-week time frame given to him. It would take 20 people working 24 hours a day, seven days a week to get the 16,800 person-hours of work completed. There weren’t 20 people on the team, much less 20 people qualified to do the work. And, there is no way to put 20 people in a cockpit of a plane simultaneously. Major Company didn’t want to listen to reason. The project is the project; just get it done. Or, the project is to install a 25-foot-wide piece of equipment that has to get through a 20-foot-wide door opening in the building. Or, the merchandise has to be shipped 2000 miles across country in 24 hours (which, by the way, is an average of 83 mph, “slightly” above legal speed limits, not to mention no time for potty breaks). Why are we hired for our integrity and then told to “shut up and do it” when it just can’t be done? Why do we try? It will fail, time will be wasted playing the “blame game” (hope you documented it in an email to the right person), and then additional time, money, and resources will be used to make it right.